We often consider changing a variety of things when the new year arrives, but rarely do we consider changing our locks, at least until something happens that threatens our residential security. We all deserve to feel safe in our homes and if you’re looking to make some home improvements this year, don’t forget about your residential security. First on the list comes the implementation of CCTV cameras. Although CCTV cameras have been used for domestic use for many years, many people still often associate these cameras with commercial buildings and offices. CCTV cameras can have a great effect when it comes to deterring thieves, and can give you greater peace of mind that your home is being securely monitored. CCTV cameras can be installed to the front or back of your home, however, you must ensure that you comply with all data protection laws. Alarm systems can add an extra layer of security to domestic and residential homes and commercial buildings of all sizes. The complexity of your alarm system will vary, depending on the type of system you choose to incorporate. From fully integrated systems to simple domestic alarms, wired and wireless systems, the choice is all yours. 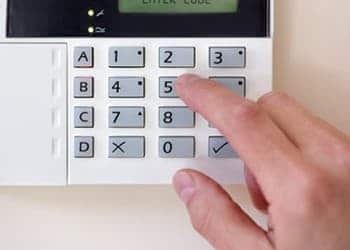 When choosing an alarm system, always keep in mind who will be using the system and the flexibility of the system to add to or expand the system if necessary. 24-hour monitoring may be used in a variety of environments, from domestic homes and even entire business parks. All 24-hour monitoring alarms are linked to a police responder, key-holder, security company and/or a Wilson Alarm Systems engineer. These are just a few of the products that can be installed to give you greater security in your home. If you’re planning a few home improvements this year, make sure you take a second look at your existing security feature. If you would like more information on our wide range of services and security products, we welcome you to get in touch. Please call our dedicated team today on 0116 245 3030 or fill out our online enquiry form and we’ll be in touch soon.